Krystal Evans is a medical research scientist whose research is focused on developing a new malaria vaccine. 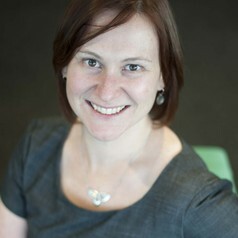 She is interested in science advocacy and organised the 2011 Melbourne “Rally for Research” to highlight public support for continuing medical research funding in Australia. She sees communication and outreach as an essential part of being a research scientist and is a regular panel member on the Melbourne community radio station 3RRRFM weekly science show “Einstein‐a‐go‐go”.